HY-TEC’s commitment to sustainable development is demonstrated through actions across a balanced program of business based initiatives. Through the development and trial of alternative materials, HY-TEC strives to deliver product to meet customer requirements for sustainable design principles. The capture and reuse of waste water in our concrete manufacturing process. Export of excess concrete waste to external manufacturing facilities for further use in the construction industry. Optimising the use of alternative materials in concrete mix designs. Life cycle management initiatives including recycling of settled sludge from truck wash bays through aggregate quarries as rubble and development of flow strength mixes with the use of recycled aggregates from crush waste concrete. 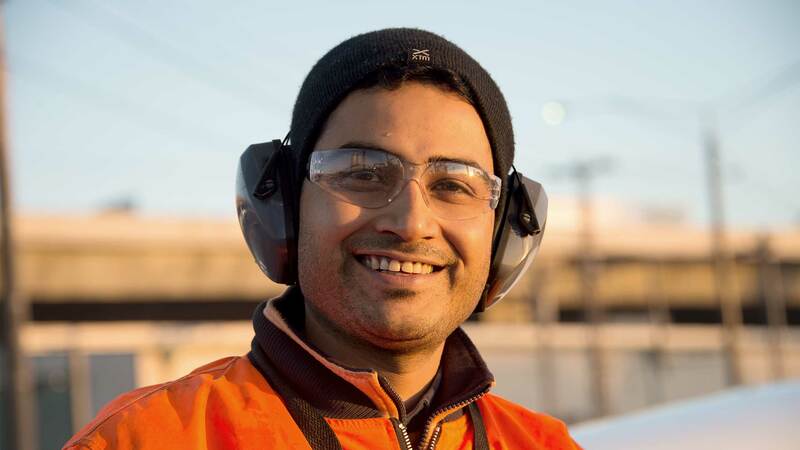 HY-TEC is governed by the sustainability policy of its parent company Adelaide Brighton Ltd.
At HY-TEC, the health, safety and welfare of all our employees, customers, contractors and visitors is of paramount importance and an integral part of what we do. Our goal is to safely produce and deliver our products to every customer. We work closely with customers at the tender stage, during supply and post project completion to ensure full compliance with safety and environmental requirements. 2009 Cement, Concrete & Aggregates Australia (CCAA) NSW environment and safety awards. Aditional safety information is available from Cement, Concrete and Aggregates Australia.